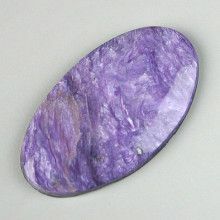 This piece is great for jewelry makers, or collectors of rare stones. 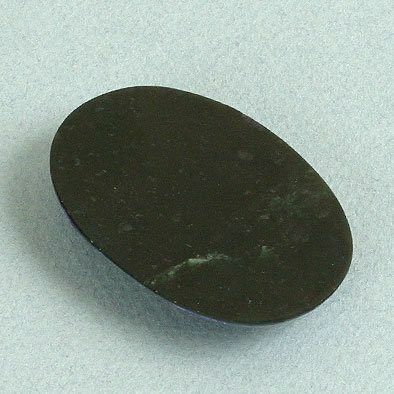 A very thin layer of charcoal is adhered to the back of the stone in order to protect it from cracking while setting the cabochon into jewelry. 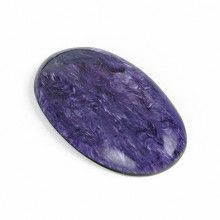 Charoite was first discovered in 1947, though it wasn't until 1978 that it became known in the gem market. 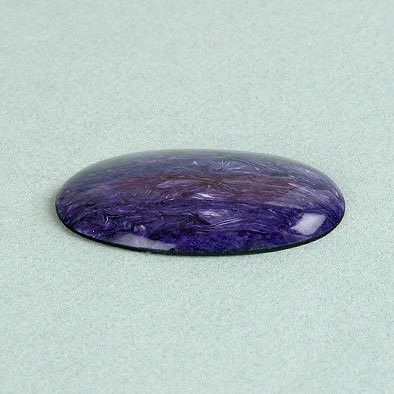 The only deposit in the world of this unique gem is located in Yakutia, on the River Char, where the world's only known deposit lies. 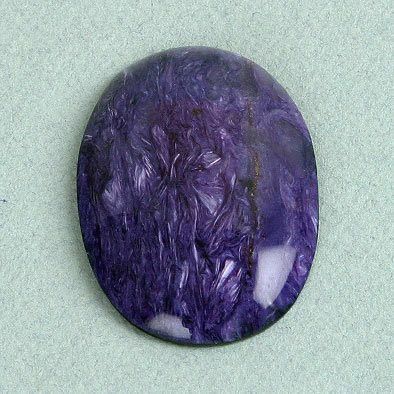 Fibrous crystals of this mineral, create unique designs, often with silky or pearly luster. 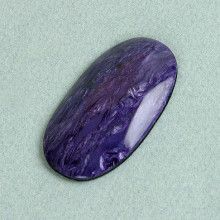 Due to its unique, bright purple color and a rare, even for semi-precious stones, beauty, Charoite quickly gained worldwide fame. 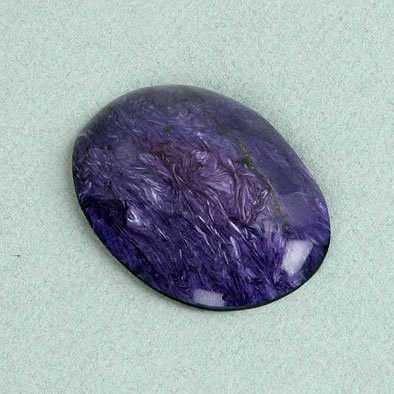 Charoite is mined solely in the Murun mountains in Yakutia, Russia. 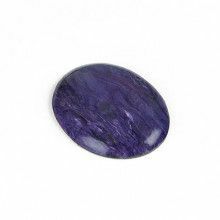 To this day it is not known for certain why Charoite deposits are not found elsewhere. It is most likely due to a combination of a chemically unique limestone reacting with a chemically unique intrusion and then being subjected to unique physical conditions.